A student team of future investment management professionals from University of Lausanne, Switzerland, have been named the global champions of the CFA Institute Research Challenge 2018 beating Malaysia’s Sunway University’s students in the final. The Research Challenge is an annual competition which invites university students from around the world to conduct in-depth analysis of a listed company, with hands-on mentoring and intensive training in financial analysis delivered through the CFA Institute network. The Global Final in Kuala Lumpur welcomed the regional champions for the Americas, Asia Pacific, and Europe, the Middle East and Africa, each presenting their stock analysis to a panel of investment industry experts. In total, five student teams participated from universities in the United States, Norway, Switzerland and Malaysia. 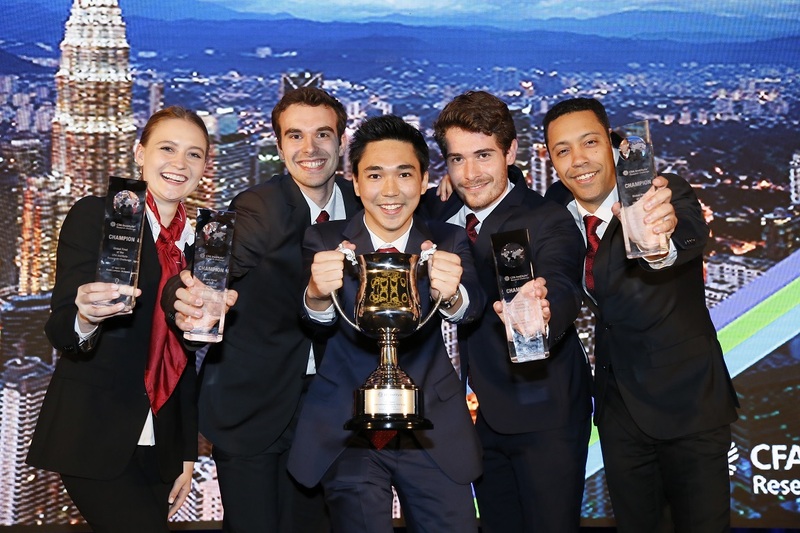 The winning team from University of Lausanne presented and defended their analysis of VAT Group AG to a panel of judges drawn from the investment industry. In total, more than 5,700 students from universities around the world participated in the CFA Institute Research Challenge 2018. The Global Final runners-up are already Champions in their respective regions. The teams are from Sunway University, Malaysia; BI Norwegian Business School, Norway; Jacksonville University, U.S and University of Minnesota Duluth, U.S.